The Ninth Avenue International Food Festival takes place May 14-15 this year. 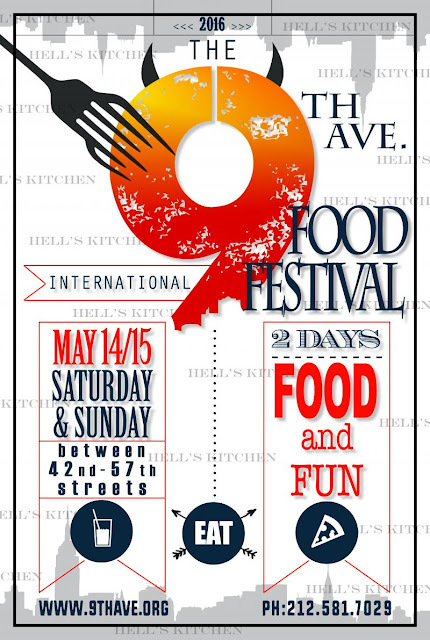 On ninth avenue between 42nd & 57th streets from 10am to 6pm, you'll find over 40 of New York City's culturally authentic cuisines, live music, crafts and more. For more information, check out their website.